Press Release (ePRNews.com) - ORINDA, Calif. - Oct 17, 2017 - If recent statewide school assessments are any indication, the youngest residents of Wilder, Orinda, a new luxury community in Contra Costa County, from the master developer Brooks Street, are on course to be the next generation of great thinkers, innovators, and entrepreneurs. Students from Wilder households attend Wagner Ranch Elementary (grades K-5) and Orinda Intermediate School (grades 6-8), both California Distinguished Schools and California Gold Ribbon Schools within the Orinda Union School District. In last spring’s 2017 California Assessment of Student Performance and Progress (CAASPP), online tests in English language arts (ELA) and mathematics, 86 percent of third through eighth-grade students in Orinda Union School District met or exceeded standards in ELA, with 84 percent meeting that same benchmark in mathematics. These scores place Orinda Union School District among the top of all California school districts in both ELA and math. “One of the most appealing aspects of buying a family home at Wilder is access to Orinda Union School District and Acalanes Union High School District. Not only is the quality of instruction in these districts tremendous, but they also excel in sports, leadership, community service and parent engagement to create a thriving educational environment for Wilder kids,” says Scott Goldie, Partner, Brooks Street, Master Developer of Wilder. One of the most appealing aspects of buying a family home at Wilder is access to Orinda Union School District and Acalanes Union High School District. Not only is the quality of instruction in these districts tremendous, but they also excel in sports, leadership, community service and parent engagement to create a thriving educational environment for Wilder kids. Wilder’s high school students attend Miramonte High School in the Acalanes Union High School District. 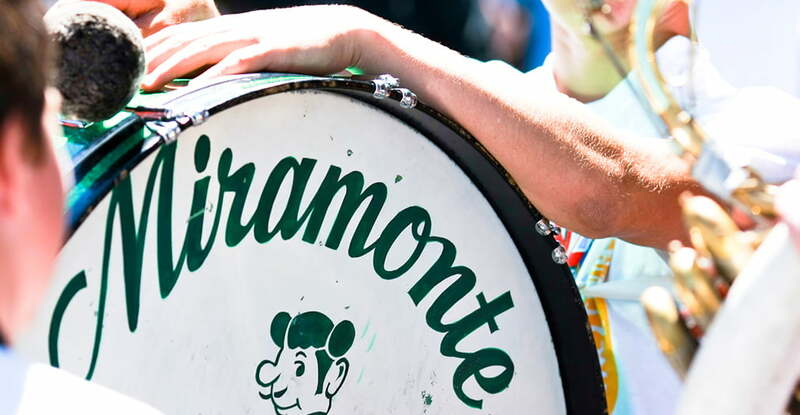 Miramonte ranks in the top 60 of 1,000 high schools in California based upon the Academic Performance Index (API), and in the top 4 percent of all high schools in the United States for the strength of its Advanced Placement Program. In addition, Miramonte has been recognized as a California Gold Ribbon School and is routinely acknowledged by US News & World Report as one of the Best High Schools in the state and country. Located in the City of Orinda just 25 minutes from downtown San Francisco, Wilder is comprised of 245 luxury homesites. In addition to excellent schools, residents of Wilder enjoy an impressive array of family-friendly amenities including an extensive network of trails and pathways, a private swim and recreation center, a 6,600 sq. ft. Art + Garden Center and five community ballfields—all surrounded by 1,300 acres of protected, natural open space. Wilder’s exclusive collection of new homes include custom homes, homesites and new homes from local builder, Davidon Homes, and national homebuilder, Taylor Morrison, as well as custom homebuilder and master developer, Brooks Street. Wilder offers a diverse range of homes for a variety of lifestyles all thoughtfully designed to seamlessly blend with the natural beauty of the gentle rolling hills. To explore the many possibilities at Wilder, homebuyers are encouraged to visit the community’s model homes or website at www.OrindaWilder.com and join an interest list.